Marcus Vick was sentenced to 20 days in jail on Thursday for violating his probation stemming from a DUI offense, The Viginia Pilot reported. 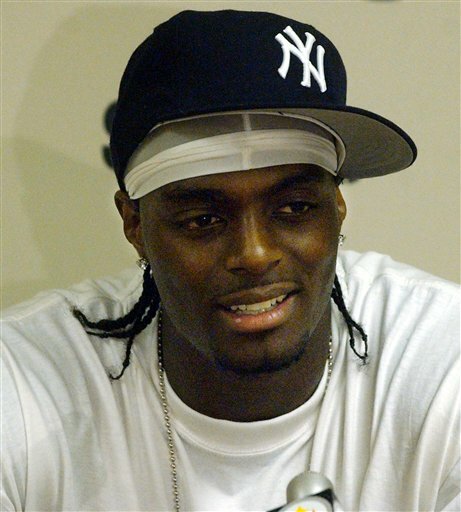 Vick was found guilty of DUI, eluding police and a traffic infraction in October 2008. He got a 12-month suspended jail term with the conditions he pay a fine, complete an alcohol awareness program and stay away from drugs and alcohol. Vick tested positive for marijuana at a screening, missed repeated appointments with alcohol counselors, failed to show for urine screenings and had failed to pay his fines until Thursday morning, the Pilot reported. Vick was taken into custody after the hearing and his lawyer said he will appeal, the Pilot reported. 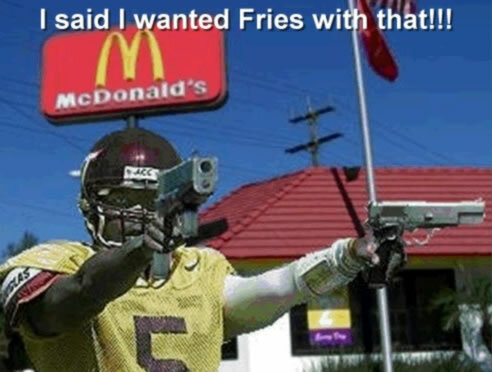 Oh did you think I meant Michael Vick? Oh no no. I meant his much more mature and responsible younger brother, Marcus. You know, the one who was a douche bag and thought he owned Blacksburg for the two and a half minutes he was there. The one who constantly made headlines, and not the good kind of headlines. What is he doing these days (besides going to jail)? How does he make a living? We know it can’t be Michael giving him free money. He doesn’t have anymore. If anyone has any clue what’s his deal, let us know. I’m very intrigued. You are currently browsing the archives for the jail category.